Previously known as Penicillium notatum, Penicillium Chrysogenum is a widely studied species of Penicillium that is most famous for being a source of penicillin and several other antibiotics. P. chrysogenum can most often be found in indoor environments, particularly in those with high humidity, dampness, or previous water damage. 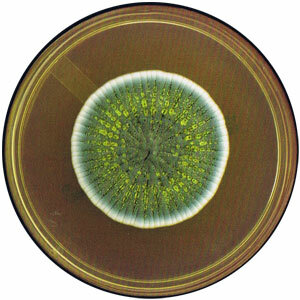 P. chrysogenum colonies are blue-green in colour with a yellowish pigment often appearing as well. However, identifying P. chrysogenum based on colour alone is not possible. P. chrysogenum is well-known both as an allergen and as a pathogen, although it is rarely reported as a cause of human disease. However, it has been known to cause a variety of opportunistic infections , mostly in people whose immune systems are weakened due to already suffering from another disease. P. chrysogenum is a widespread fungus that is common in temperate and subtropical regions. It can be found in soil and vegetation, and can also grow on stored food and damp building materials, making it a common indoor fungus . This species of Penicillium is associated with the discovery of penicillin by Sir Alexander Fleming in 1928 . Penicillin is one of the oldest broad spectrum antibiotics which is used to treat various types of bacterial infection. Although production methods have improved greatly since the initial discovery, commercial strains of P. chrysogenum are still the main source of penicillin and several other β-lactam antibiotics . This article will provide a comprehensive review of P. chrysogenum for the benefit of our readers and those who would like to do further research on the subject. What are sources of Penicillium Chrysogenum? 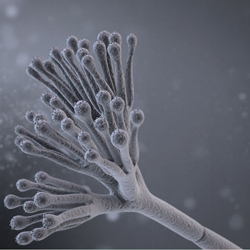 The name of the Penicillium genus is derived from its spore producing structures, also known as conidiophores. After observing these structures, early mycologists named this group of fungi Penicillium, meaning ‘painters brush’ in Latin. P. chrysogenum can be found in various places including soil, air, decaying fruits, vegetables and other food sources. However, many strains of P. chrysogenum with high penicillin production are commercially available and are used in state of the art penicillin production facilities around the world. Due to its use as a raw material for making effective antibiotics, there are a number of interesting facts about P. chrysogenum. Here are a few curiosities regarding this fungus. P. chrysogenum only produces penicillin when it is under stress. Penicillin is not produced if the fungus is thriving and growing. Modern penicillin fermentors are highly automated and computer controlled. All the necessary precursors, temperature and pH are tightly controlled to achieve optimal antibiotic production. Incidentally, the beginning of mass penicillin production coincided with WWII. Understandably, the necessity of improving penicillin yields was apparent. 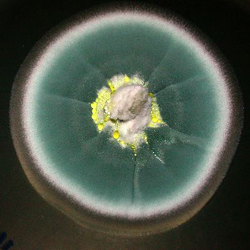 In 1943, a worldwide search was organised for finding high penicillin producing strain of P. chrysogenum, and the best strain was obtained from a mouldy cantaloupe found at a market in Peoria, Illinois . After years of selection and modification, today’s strains produce 40-50g of penicillin per liter of culture compared to 0.15g per liter from the cantaloupe strain . During the mid-20th century, the chemical structure of penicillin was elucidated and the structure at its core, 6-aminopenicillanic acid (6-APA), was isolated. This allowed for the development of semisynthetic penicillins, which improved various aspects of the drug, including its spectrum of activity, stability and tolerance. What are Penicillium Chrysogenum growth conditions? 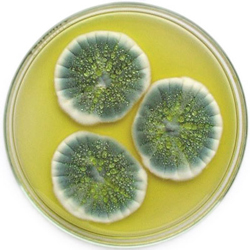 The best thing about Penicillium is that it grows well in a wide range of conditions. However, this can also be viewed in a negative light – in fact it is quite possible that it could be growing right now in your home and surroundings. It grows well in indoor environments, and water damaged or damp areas of buildings are considered to be an excellent environment for the growth of this fungus. It can also develop on fruits and vegetables, cereal grains, cured meat products, margarine, cheese and other dairy products which have a tendency to decompose and decay after a period of time . Outdoors it is mostly found in the soil and on decaying vegetation. What disease does Penicillium Chrysogenum cause? With only a handful of reports of side effects and diseases, Penicillium species are generally considered to be safe. Despite this fact, P. chrysogenum has been known to cause a variety of opportunistic infections. Aside from relatively benign conditions such as skin rashes and ear infections (otomycosis), this fungus has been known to have caused sinusitis, posttraumatic endophthalmitis, necrotizing esophagitis in an AIDS patient , necrotizing pneumonia , intestinal invasion and disseminated disease . What allergies are related o Penicillium Chrysogenum? Like all other fungi, P. chrysogenum reproduces by producing spores, which are known human allergens . These spores are ubiquitous in the air around us and are inhaled in large numbers on a daily basis. Although this has no effect on most people, sensitive individuals may experience an adverse reaction. They could suffer from breathing related problems, skin allergies, constant sneezing and red/watery eyes. If P. chrysogenum happens to develop in your vicinity, the concentration of spores in the air will increase, as will the probability of damage to your health. Another type of allergy related to P. chrysogenum is obviously the well documented allergy to penicillin that occurs in some individuals. Although approximately 10% of people are labelled as allergic to penicillin, a large percentage of them actually test negative for penicillin allergy and can tolerate penicillin. Even those with true allergy will lose this tendency over a 10 year period. Penicillin allergy is often diagnosed during childhood, where common childhood infections may contribute or be confused with allergy. However, allergic reactions can occur even in people who have previously taken penicillin without issue. Common symptoms include nausea, vomiting, diarrhea, rashes/hives, and swelling of the face or extremities. In rare cases serious anaphylactic reactions can occur, with swelling of the tongue, throat and lips, along with respiratory symptoms and loss of consciousness . What is Penicillium Chrysogenum mold? While the antibiotics that P. chrysogenum produces are very useful in treating a number of bacterial infections, sharing space with this mold is definitely not good for anyone’s health. In its natural form it is known to cause food spoilage. It also is known to colonize leather products. Therefore, if shoes, jackets, belts, leather sofas and similar products are kept in a damp and uninhabited surrounding for long period of time, it can lead to build up of mold. Once a mold colony is mature, it will begin to release spores into the air which can cause health issues if inhaled in excessive amounts. Therefore if you notice any mold in your residence it should be dealt with as soon as possible, even if it happens to be P. chrysogenum. Don’t let the fact that it produces antibiotics fool you – it can still be very hazardous to human health. How to get rid of Penicillium Chrysogenum mold? If you come across growths of P. chrysogenum mold, it is important that you take steps to get rid of it immediately. This is because it could lead a number of health issues, ranging from bothersome to extremely dangerous. The first task is to spray the growth with water. 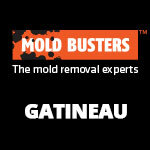 This will reduce the number of spores which are released into the air when the cleaning process is undertaken. 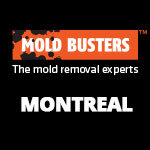 A damp cloth should be used to clean the walls and other surfaces where the mold has developed. Finally, you should clean the entire area with a combination of one gallon of warm water mixed with half a cup of household bleach. This should kill the fungus quite thoroughly. 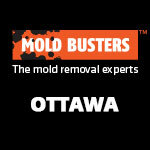 If the problem persists, your best bet is to contact a professional mold remediation company like Mold Busters. We offer comprehensive mold testing services that include surface sampling (tape/swab/bulk) and air sampling (viable/non-viable). 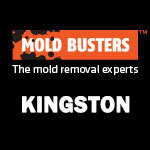 We have 15 years of experience in removing mold and will be able to rid your house of mold once and for all. 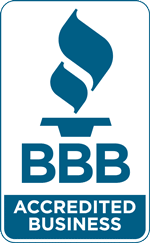 Call us today to book an appointment. Howard DH (2003). Pathogenic Fungi in Humans and Animals. Marcel Dekker, New York. pp 329-333. Andersen B, Frisvad JC, Søndergaard I, Rasmussen IS, Larsen LS (2011). Associations between fungal species and water-damaged building materials. Applied and Environmental Microbiology. 77 (12): 4180–8. Fleming A (1929). On the Antibacterial Action of Cultures of a Penicillium, with Special Reference to their Use in the Isolation of B. influenzæ. Br J Exp Pathol. 10(3): 226–236. Meštrović T (2018). Penicillin production. Retrieved from news-medical.net. Bellis M (2018). The History of Penicillin. Retrieved from thougtco.com. D’Antonio D, Violante B, Farina C, Sacco R, Angelucci D, Masciulli M, Iacone A, Romano F (1997). Necrotizing pneumonia caused by Penicillium Chrysogenum. J Clin Microbiol. 35(12):3335-7. Barcus AL, Burdette SD, Herchline TE (2005). 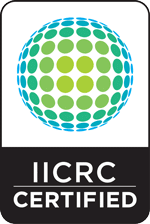 Intestinal invasion and disseminated disease associated with Penicillium Chrysogenum. Ann Clin Microbiol Antimicrob. 4:21. Shen HD, Chou H, Tam MF, Chang CY, Lai HY, Wang SR (2003). Molecular and immunological characterization of Pen ch 18, the vacuolar serine protease major allergen of Penicillium Chrysogenum. Allergy. 58(10):993-1002. Pongdee T (2019). Penicillin allergy – what do you need to know? Retrived from aaaai.org.